Q: Your conviction has just been thrown out by an Egyptian court of appeals. Was the ruling ordered by the government? A: I'm not sure. In Egypt, trial court judges are all appointed by the government and believed to be under the government thumb. But judges in the appellate courts tend to be more independent. Q: Is it safe for you to return to Egypt now? A: Well, there are other charges pending against me; I am waiting to learn if the attorney general will now drop them. Q: President Obama is giving a speech in Egypt this week. Apparently this will be the major address that he promised to deliver from a Muslim capital, though he also spoke in Turkey a few weeks ago. Are you happy he is going to Egypt? Or will a visit from the president of the United States just end up bolstering a repressive regime? A: I wrote in December that going to the Muslim world was an excellent idea, but that Obama should not go to the capital of an authoritarian regime. Instead, I suggested two Muslim democracies he could visit. One was Turkey - it is a secular country with a democratically elected Islamic party in power. And the other was Indonesia. It's the biggest Muslim country, and the third-largest democracy after India and the US. So I suggested Turkey and Indonesia, and friends in the White House tell me that that's what he did: He went to Turkey first. But when he announced he was going to Egypt, the Egyptian media said, "Obama did not listen to Saad Eddin Ibrahim. He is coming to Egypt to address the Muslim world." A: No, because I know why he's going to Egypt. It is really to announce his Middle East policy. He knows that before he can rally Muslim public opinion to address the Iranian nuclear danger, he has to do something about Palestine. Q: Regardless of his main topic, should Obama say something about freedom and human rights? A: Yes. Even when he talks about Palestine, he can help the cause of democracy and human rights, because that issue has been used by all the authoritarian rulers to postpone democratic reform. They say: "Oh, we have a bigger issue: the issue of Palestine." Q: Do you agree with those who say that what Arab leaders want isn't a Palestinian state, but a Palestinian struggle? A: Yes, there are vested interests in keeping the Palestinian conflict going. So if Obama's speech will really be a breakthrough for peace, it will also be a stepping-stone to genuine democratization. Peace will take away the excuse that the authoritarian regimes use to justify their own hold on power. Q: Do you see any Middle East leaders today as visionary peacemakers? A: Not yet. You don't have a Sadat; you don't have a Rabin; you don't have a Begin. Q: If Anwar Sadat could return and see what has happened in the Middle East in the last 30 years, what would he think? A: You know, Sadat is the one who alerted me. Q: Alerted you to what? A: That the Arab regimes are living off the continuance of the conflict. He summoned me one day to the presidential palace. A: In 1981; five weeks before he was assassinated. Q: What was your connection to Sadat? A: None. I was just a professor at the American University in Cairo. And on a Thursday, I get a telephone call from one of his aides, who said, "The president wants to see you on Saturday." I said, "What for?" He said, "I don't know." A: I traveled to his compound and Sadat said to me: "I know you hate us." I was dumbfounded. I said, "Mr. President, why would I hate you? I just disagree with some of your policies." This was after the Israeli attack on the Iraqi nuclear reactor, and I had written that Sadat met with Begin three days before that attack. There were a lot of questions. Q: About whether Sadat knew the attack was coming? A: Exactly. If he did, it would be considered collusion with Israel against an Arab country. Remember, the whole Arab world had severed relations with Egypt [over Sadat's peace treaty with Israel]. Then Sadat said, "Do you think any of these guys really want to end the Arab-Israeli conflict?" A: The other Arab rulers. He said, "These guys do not want to solve anything. They want the conflict, because that's what justifies their continuation of power." He used an Arabic expression: "I will cut off my arm if 10 years from now any of them has made peace." Q: The United States gives Egypt about $2 billion a year. Should that money be contingent on democratic reform? A: Yes. You [Americans] have been supporting an authoritarian regime for the last 28 years. The Mubarak regime will say, yes, yes, we support reform, but it just takes time. My God, for 28 years it takes time? Why has all of Eastern Europe democratized during those same 28 years? Q: When you urge Washington to make US aid dependent on reform and human rights, what's the response? A: Two arguments. One is that the aid represents a very small fraction of Egyptian GNP, so it will not work. This is a typical State Department argument. They are not interested in upsetting the status quo. The other argument is that pushing for democracy means that the Muslim Brotherhood would be empowered. Q: Is that a fair argument? A: Tell me, do you remember when [Egyptian President Hosni] Mubarak came to power? A: Had you ever heard of Al Qaeda? Had you ever heard of bin Laden? Had you ever heard of Hamas? A: No. Yet Mubarak keeps arguing that he is a bulwark against extremism, not only in Egypt, but all over the region. I say: Look, these [extremist groups] did not exist before. They are feeding on corruption and authoritarianism. Take Egypt. 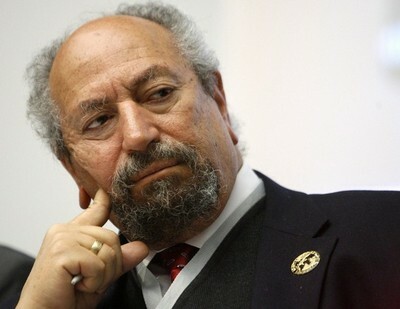 The Muslim Brotherhood, in the first election after Mubarak came to power, their share of the popular vote was 2 percent. In 2005 - 21 years later - they got 20 percent. A tenfold increase! How did they get that? Because of the corruption and ineptitude of the regime. That's what Hamas did. Hamas was able to win by exposing the corruption and ineptitude of the PLO. Q: Is that really all that accounts for the appeal radical Islam has in so much of the Muslim world these days? There must be something more going on to explain such a widespread phenomenon. A: It is usually what's happening on the ground that makes people attracted to a certain ideology. The Arab world was not always this way. If you look at Arab history going back to the mid-19th century, you will see that at times there was a growing liberal ideology, democratic seeds. Egypt had a parliament in 1866, long before Germany was even united. Q: What is the best way to confront radical Islam today? A: We need four years of transition to create the space in which liberal and democratic organizations could fight. Free media, political parties, civil society - that's what we need. Q: And after four years? A: Have open and fair elections. Q: Say you get your four-year transition. Civil society opens up, there's freedom of speech. But suppose when it comes time for the election, it appears the Islamists are going to win. A: No, they're not. Look at the elections that have been held. Islamists did not get the majority in most of them; and if they get a majority once, they don't get it a second time. Look at Jordan, where there were elections in 1989. The Islamists got a plurality - but in the next election, they lost even that. Q: You don't worry that if Islamists come to power through elections, their commitment to democracy may be limited to one man, one vote, one time? A: That is a figment of Western fear. It has never happened. I challenge anyone who makes that proposition: Tell me where it has happened. Find me one example. Q: Anywhere in the Muslim world? A: Anywhere in the Muslim world in the last 30 years. Q: But how many genuinely democratic elections have there been in the last 30 years? Q: No, but I wonder how you can be so confident. A: My confidence comes from empirical facts. In Indonesia, in Malaysia, in Pakistan, Muslim parties with an Islamic platform ran for election. In the few cases where they won a plurality or a majority, they ruled, and in the next election, they lost it and left power. Q: What happened to George W. Bush's "freedom foreign policy?" He spoke so strongly about democracy, but after a while it seemed to run out of steam. A: The election of Hamas frightened him. First he called himself a "fellow dissident," but then he backtracked, he weakened. And his successor is not as committed to that agenda - if anything, he wants to distance himself from it. Q: Do you hold out high hopes for Obama's visit to Egypt? A: No. I have been burned so many times. I do hope he will withhold his support from the autocrats. At least allow the democrats some space. Q: How can Americans promote Arab democracy? A: They can pressure their government to withhold aid from the autocrats. Use your aid to support five things: rule of law, freedom of speech, civil society, gender equality, and minority rights. Those are the ingredients that will make democracy come naturally.